KATHMANDU, June 21: The Supreme Court (SC) has ordered the government to formulate a six-month long action plan to save the Bagmati River and submit its report to the apex court. A division bench of justices Dr Ananda Mohan Bhattarai and Sapana Pradhan Malla issued the order on Tuesday. “The court orders the Office of the Prime Minister and Council of Ministers to do the needful including coordination with the authorities concerned as per the requirement and formulate six-month long term, mid-term and short term plan to address the concerns raised in the petition,” the order issued on Sunday and made public on Tuesday, stated. 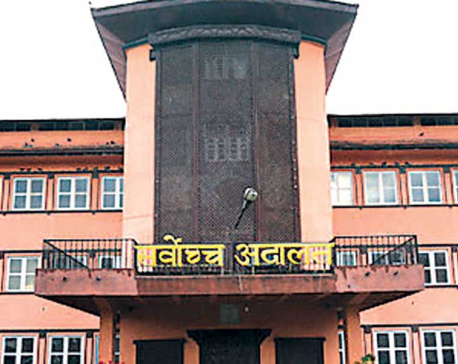 The apex court has issued the order in response to a contempt of court case filed against the government by senior advocate Prakash Mani Sharma, representing Pro Public Nepal. The SC has also ordered the government to control the dumping of garbage in the river, protect open space, ponds, and wetland in the valley and study the water flow of Melamchi water after the completion of the long-waited Melamchi project. “The government needs to make it clear what the situation of water flow would be in the Bagmati River after the completion of second and third stages of the Melamchi Driniking Water Project,” the order stated. The apex court has also ordered the secretaries of various ministries including the Office of the Prime Minister and Council of Minister, the Ministry of Town Development, Ministry of Federal Affairs and Local Development, the Office of the Attorney General and the chief of the Powerful Bagmati Civilization Integrated Development Project to attend the hearing in the apex court after completing the six-month long action plan. The order has also underlined the need for discussion in order to find out whether the powerful project has the right to set up river basin organization, marking the boundary of the river and to transfer the human settlements of the river banks to any other place as suggested by 2009-2014 action plan. The SC order also said that there is a need for conducting a study on the flow of water in other smaller rivers in the valley such as Tukucha, Icchumati, Manahara, Balkhu, Nakkhu, Godawari, Hanumante, Sanglakhola and Kodkukhola.